Speaking ahead of World Hepatitis Day, held on 28 July, Hepatitis SA Executive Officer, Kerry Paterson said that around 150,000 Australians are still missing out on new Government-funded cures for hepatitis C and nearly 200,000 Australians with hepatitis B are missing out on vital care that can provide timely intervention to prevent liver cancer and liver failure. “Australians from all walks of life can have hepatitis B or C, but a third of a million aren’t coming forward for vital treatment that can save their lives,” she said. “Some people are not seeking help because they are unaware of recent advances in treatment; others because they are unaware of their condition. One in three people with hepatitis B and one in five people with hepatitis C do not know they have these viruses,” she added. New Medicare-funded treatments can cure 95 per cent of people with hepatitis C. These treatments can be prescribed by GPs and for most people, consist of daily tablets taken over 12 weeks with few side effects. A record number (50,000) of Australians have now been cured of hepatitis C, but another 150,000 Australians who can be cured, are still living with the virus. Closer to home, over 10,000 South Australians have been diagnosed with chronic hepatitis C, but less than a quarter have received treatment. Experts believe that people may not be coming forward because they had been living with their condition for a long time, had been put off by stories of brutal side-effects of old hep C treatments or are unaware of the highly effective new cures with few side-effects. Ms Paterson said that the number of people with hepatitis B who are missing out on medical care is alarming. 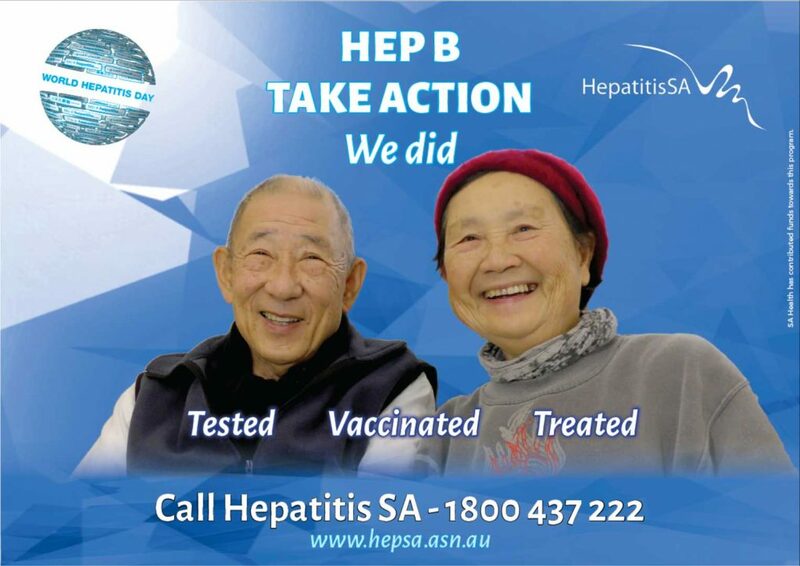 “There are 14,460 South Australians with chronic hepatitis B. Only 14 per cent are receiving recommended regular monitoring and only six per cent are on treatment,” she said. A vaccine that protects against hepatitis B is readily available through the National Immunisation Program, but a significant number of people from communities where the virus is common have not been vaccinated. “There has never been a better time to speak to your doctor about hepatitis B or C,” Ms Paterson said. “We urge people to do it without delay. Previous Previous post: My Health Record – Should I opt out?